I hate potatoes. No one believes me when I say this, so it’s a pretty standard conversation. No, I don’t like potatoes. I don’t like them mashed or boiled or baked or fried. I don’t like them full of toppings and I don’t like them crisped in chip form. I don’t like fries. Yes, I’ve tried animal style fries. I liked the animal style. I didn’t like the fries. That being said, I LOVE gnocchi. But I don’t like the normal stuff. In fact, I really don’t like the standard gnocchi. 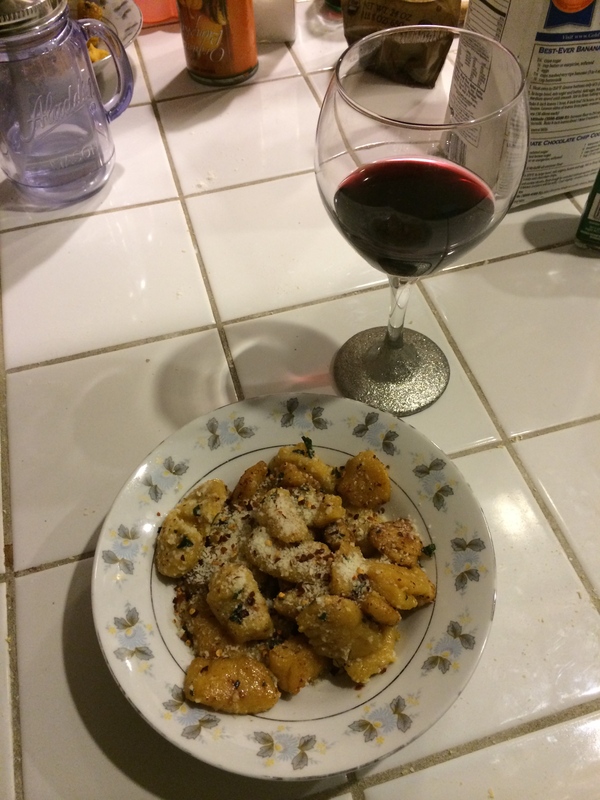 I like MY gnocchi, which is basically a rip off of the real stuff with a little pumpkin twist. Please note: this isn’t the most healthy dinner you’re going to have this week. But if you are craving gnocchi, it’s definitely a healthy substitute. Note again: A good substitute for the butter sage sauce is good ol’ marinara. I’d pick one with basil or garlic versus just a basic tomato to bring out the pumpkin-y flavors! Good luck! 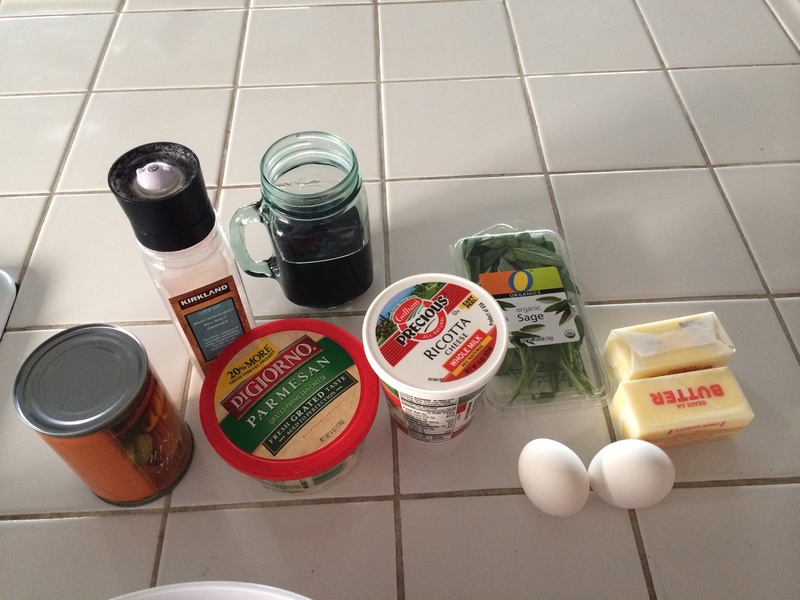 The essentials: pumpkin, ricotta, parmesan, pepper, sage, butter, eggs, and a jar of wine. Step 3. 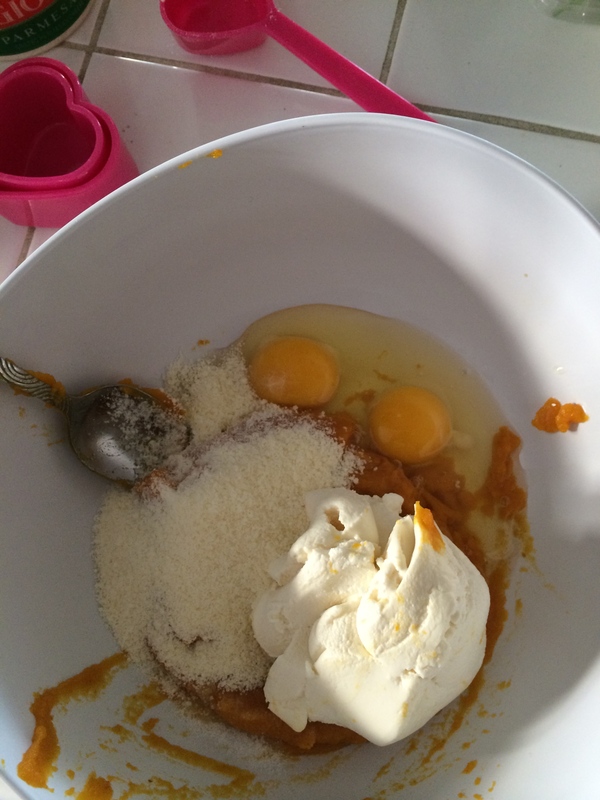 Add two cups of flour and start mixing it together. It should start to take shape. 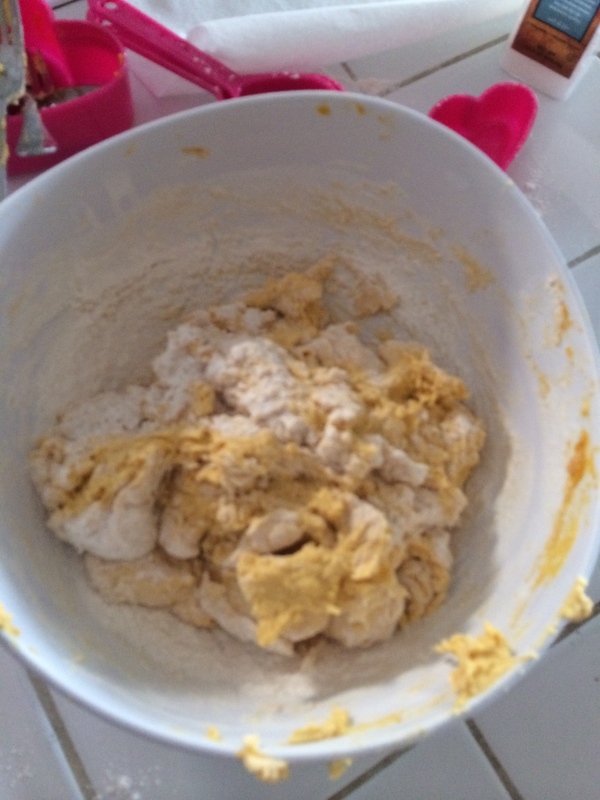 Add flour until the mix becomes dough-like and can keep shape. Kneading dough is oddly thereauptic. Step 4. 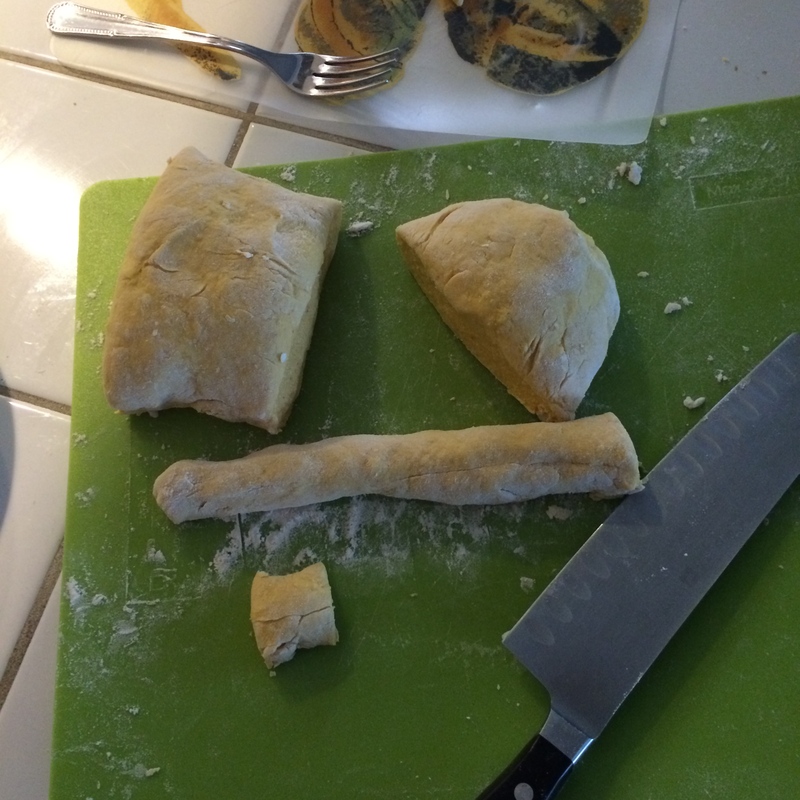 Roll dough into a loaf. Cut loaf in half and roll into a skinner loaf. Repeat until you have a bunch of long snakes (about 3/4 inch think or smaller). Step 5. 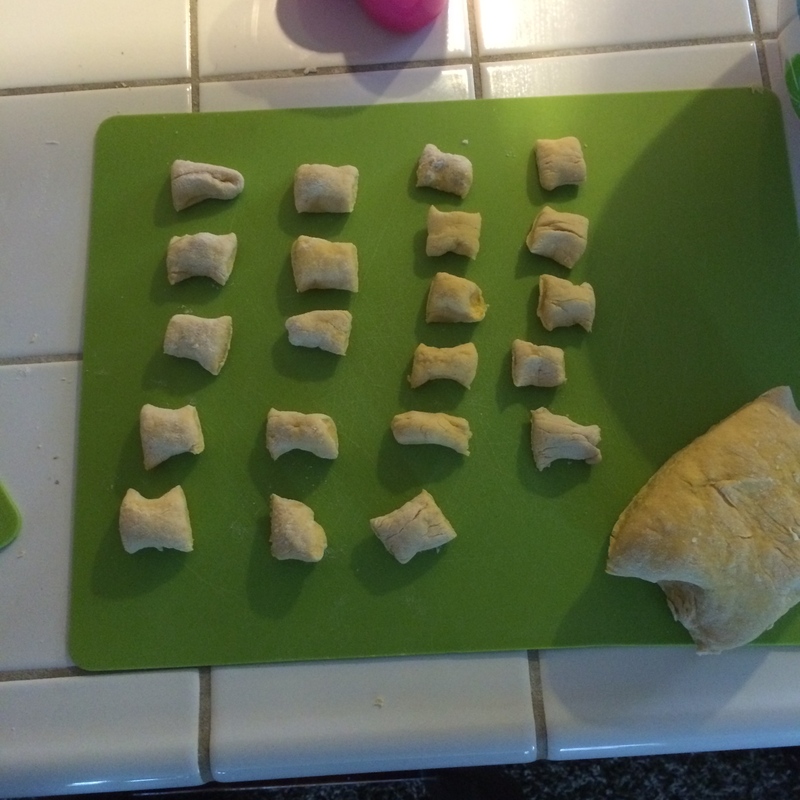 Cut the dough into little squares. Begin boiling a large pot of water. Step 5. 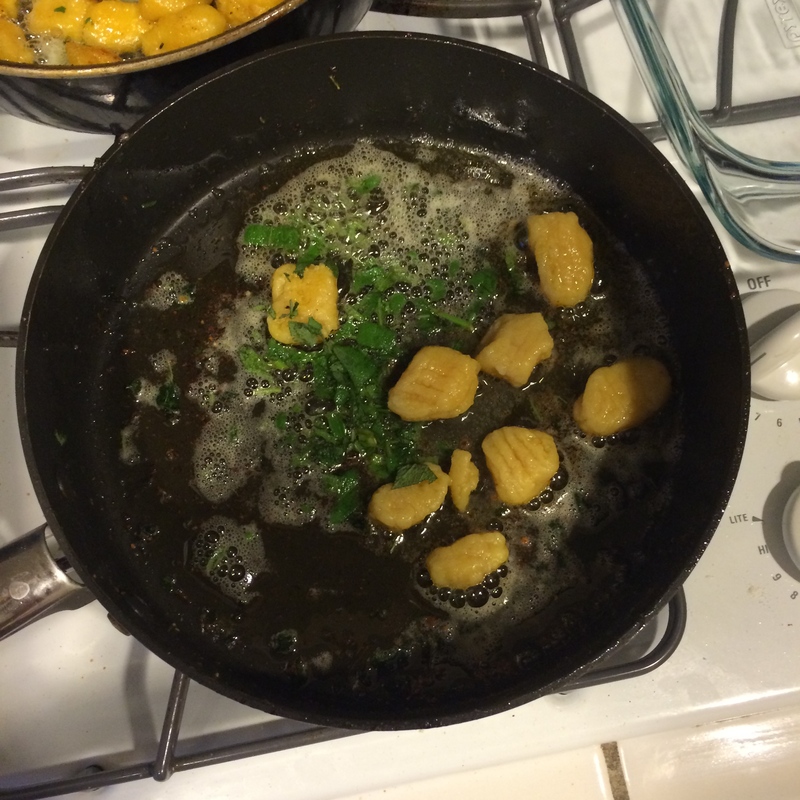 When the water is boiled, drop the raw gnocchis into the pot. Meanwhile, melt butter with the sage in a large skillet over low heat. Step 6. 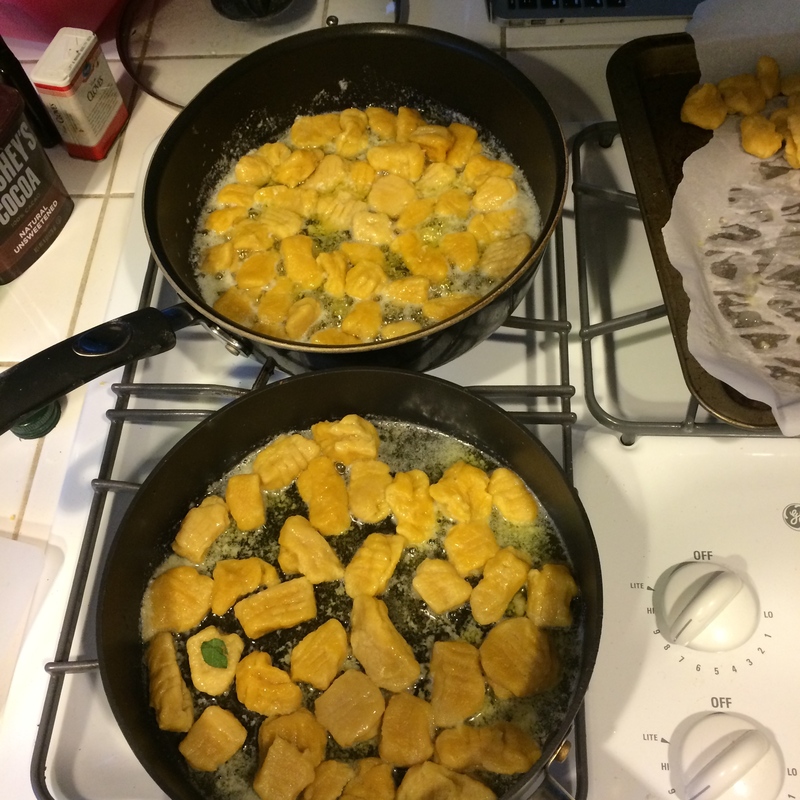 When the gnocchis float (about 3-4 minutes), they are ready to be taken out. Put them directly into the butter sage sauce and let them sit for about 90 seconds. Resist the urge to stir them. Step 7. After the longest minute-and-a-half ever, stir them up and let them cook for another minute. Remove from pan and place them in a dish lined with paper towels to absorb some of the oils. Step 8. Garnish with sage and add a dash of salt and pepper. Step 9. Refill wine glass. Enjoy.